If you are thinking of filing a Social Security Disability Benefits Claim get a free no cost or obligation consultation and evaluation of your claim! There are no attorney fees unless we win. The law limits how much we can charge. 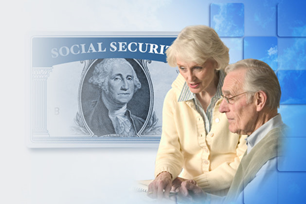 We are paid by the Social Security Administration. If your Social Security Disability Benefits Claim has been denied and you want to file and appeal your chances of winning that appeal are dramatically increased by hiring a Board Certified Social Security Disability Lawyer! They have vast experience, education and skill to get you approved. They will be able to insure that you have the correct medical in formation and documentation required to process your appeal. They are often able to obtain medical documents much quicker than you will be able to and know exactly what information needs to be on the form and in what format for support of your claim. They will appear with you at your hearing before the Administrative Law Judge. They will be familiar with the process, people and personalities in the appeal process. They will be able to prepare you for your testimony and cross examine a vocational expert that the judge will use to determine your ability to work. Here is where you need the skill of a team like the Martin, Jones & Piemonte in presenting your medical records, supporting facts that may not have brought out, presenting hypothetical scenarios to demonstrate the validity of your claim. Martin, Jones & Piemonte’s team has Board Certified Social Security Disability Lawyers and support staff that are friendly and compassionate people dedicated to getting you the benefits that you need. Take a look at our reviews on our website and from around the Internet, we are sure you will see that the Martin, Jones & Piemonte team is the one you want on your side. Call us now or fill out a consultation request for a free no cost or obligation consultation and evaluation of your claim!